More and more people choose apple products with Mac OS X such as MacBook and iMac etc. for their security, reliability, high speed and user friendliness. However, the operation in Mac OS is a little different from that in Windows, as they have different keyboard. In Windows, you can press on the "PrtScn" key in the function keys to print the whole screen in the clipboard. 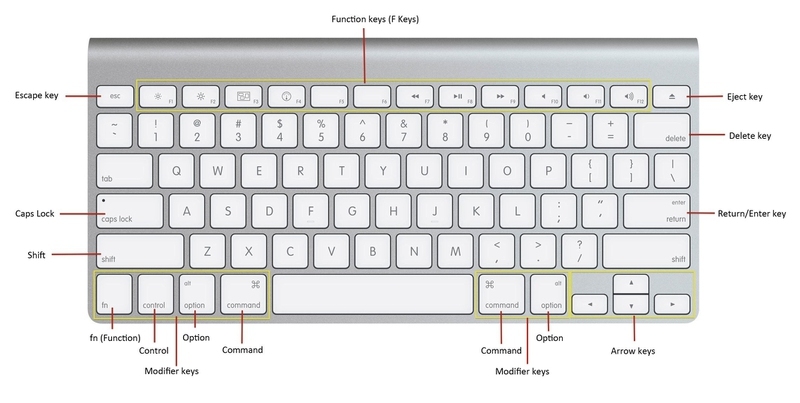 However, Apple keyboard don't have this key. It uses other shortcut for the function of print screen. Here I'll show you how to print screen on Mac. This shortcut will capture the image of the whole current screen and create a file in your desktop immediately. If you only want to capture part of the screen, you need to use other software to edit the capture, or take the measures below. This shortcut will allow you to choose an area for capturing. When you use this shortcut, your mouse icon will turn to a cross. You need to click and drag to select the content you want to capture. The screen shot will be created automatically after you release the mouse. This shortcut allows you to choose a window to capture. Your mouse icon will turn to a camera, and you need to move your mouse then click on the window you want to capture. The screenshot will be generated automatically on your desktop. Server responsed at: 04/25/2019 8:40 a.m.